A good sharp knife will quickly become your favorite tool in your kitchen. 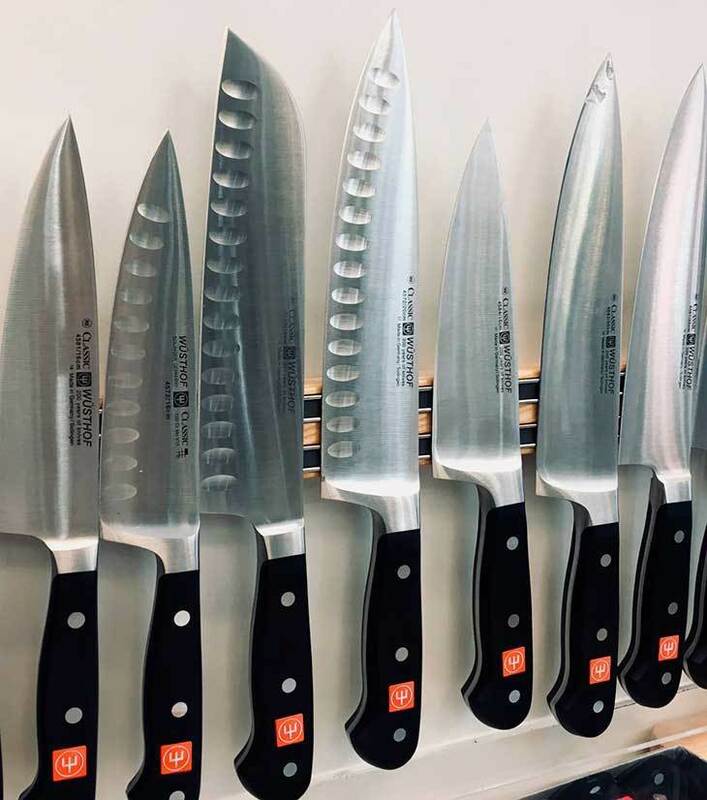 With our broad selection of knives from around the world we will be able to match you up with the knives that best suit your needs. After you get the right knives, you may never get your food processor out of the cabinet again!